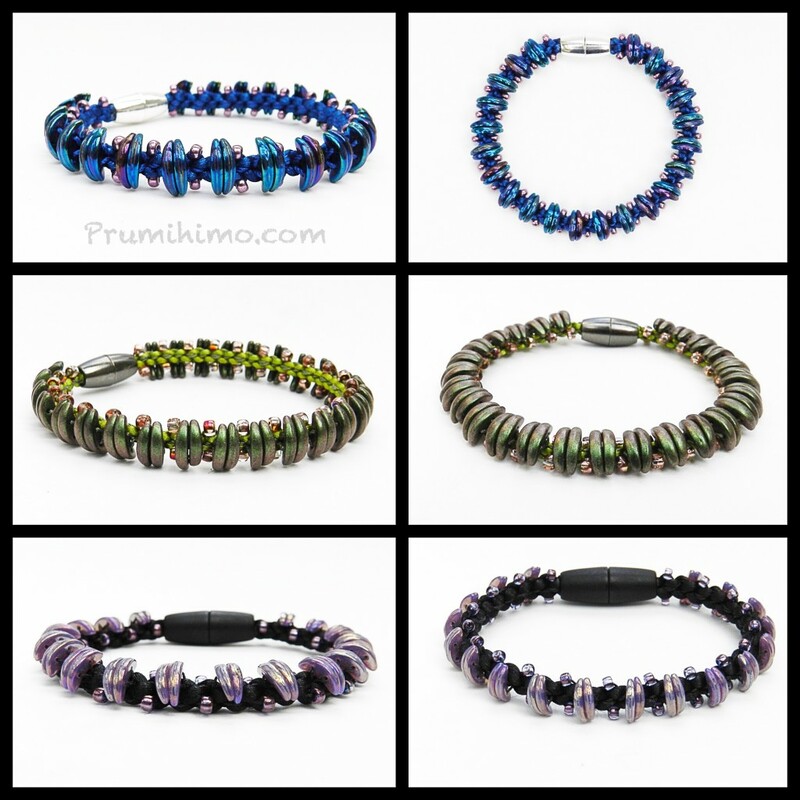 I have written some lovely tutorials for the Prumihimo Disk and there are lots more to come! This is what is currently available. This tutorial makes great use of 2-hole crescent beads, creating a striking and contemporary effect. 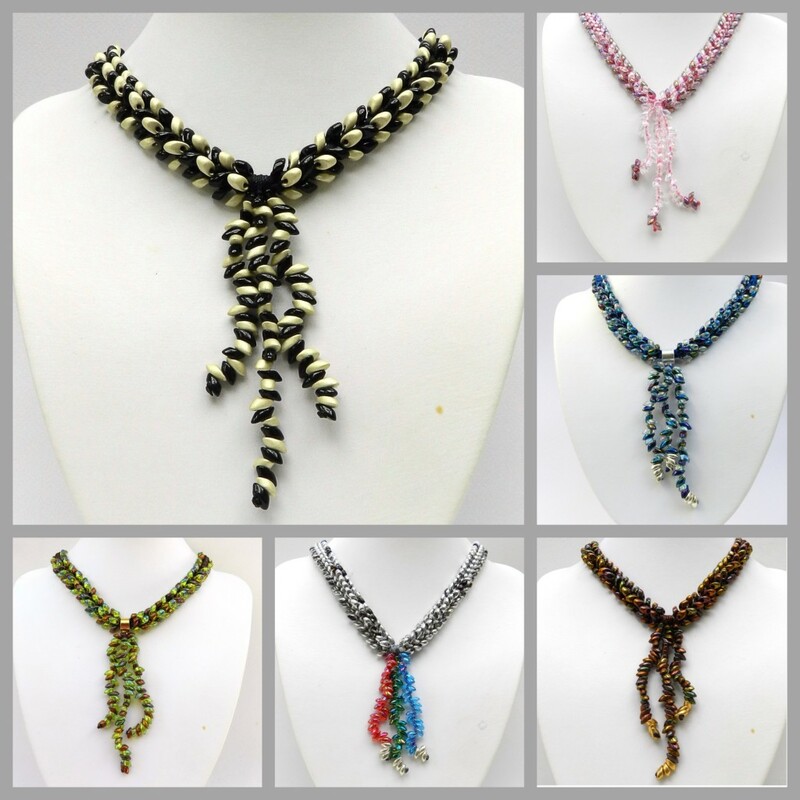 Like most other Prumihimo designs it is a quick make, once you have learnt the braid structure. This tutorial shows you how to use the ever-popular Long Magatama bead and how to add a subtle touch of sparkle to your bracelet design. This is very quick to make up and is very economical in its use of beads. Another great design for Long Magatamas, with the addition of a focal squiggle of these quirky beads. This is a great way to use Long Magatamas in a necklace without having to buy a huge number of beads. 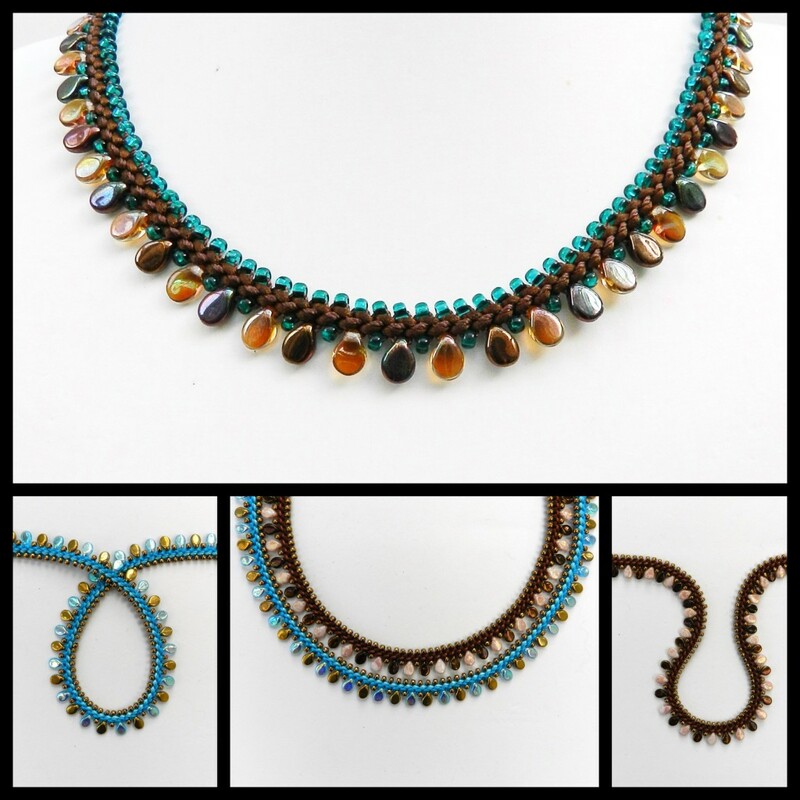 The beads are threaded in different directions on either side of the necklace to give a symmetrical effect. This ingenious tutorial shows how to join two braids together using superduos to make a real statement bracelet. 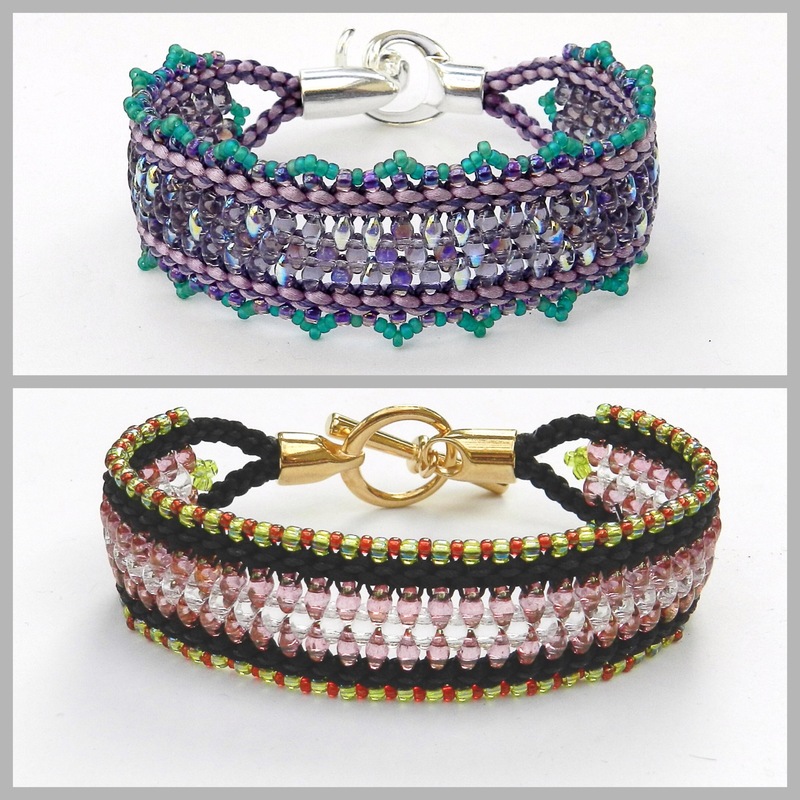 Additional post-braiding embellishent is also explained, offering both a simple or a more decorative edging to the bracelet. This bracelet is great fun to make and can become rather addictive! Pipalicious is sold in two ways. It can either be purchased along with the Prumihimo Disk as part of a package, or it can be bought on its own. It is a great way to showcase these charming beads, but there are many similar shaped beads which could be used intstead, making this a very versatile tutorial. I am currently working on rewriting the Crystal Curves and Feathers tutorials, which were previously available for the regualar disk. 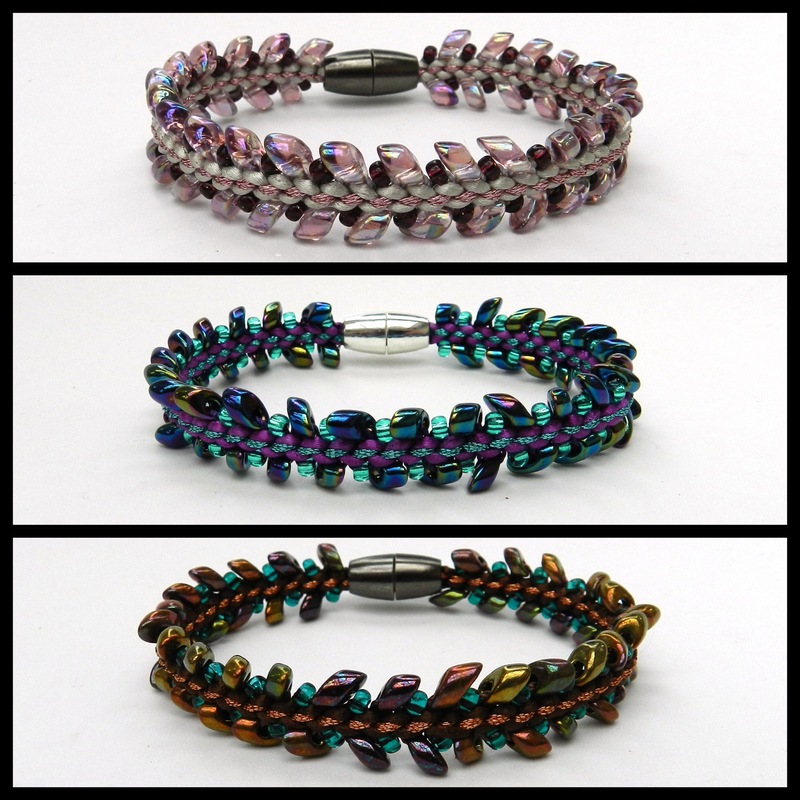 I have also got a fabulous bracelet tutorial, with beads on three sides of the braid, which is nearly ready and I need to finish off a tutorial aimed at gemstone users.